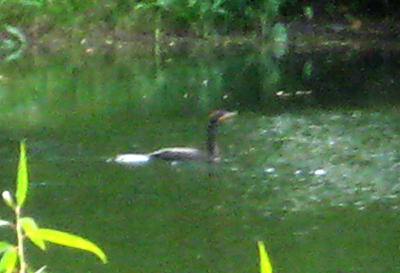 While mowing, I looked over to the pond and saw this bird swimming along...I assumed it was a Canada Goose; as I looked closer, I saw that it was a cormorant instead! About 70 passed directly over our farm. I was so astonished that they were cormorants (and not Canada Geese) that I didn't think to take a picture until they had already flown farther south.